Some of my best memories as a child were camping trips taken with my aunt and uncle and three cousins. They had a pop-up camper and spent a couple of weeks each summer at Shad Landing in the Pocomoke State Park. These were experiences that I will never forget. It is well known that camping can enhance children’s mental and physical well-being, stimulate cognitive development, and improve concentration and reduce stress. RV camping with kids can create memories that will last a lifetime. Get the kids excited about your camping trip in advance! Share photos of the campground you’re planning to visit and discuss all the fun things you will do. Involve them in every aspect of planning. Do research together on places to go and things to do. Have them help organize things to bring, pack their clothes, books, and games. Have them select fun and healthy snacks, make trail mix, or plan a meal. Give them responsibilities for taking care of the campsite during your stay. Involving kids in the process fosters independent thinking, and teaches them the value of teamwork. Although we love our technology, a common complaint is that we spend too much time on our smartphones. Camping trips are a good time to break that habit. It’s important for all of us to get out there and experience the real world, socialize, and interact with people in person instead of on social media. It’s even more important for your family because taking a break from technology will improve your relationship with your kids. The benefits of getting outside and exploring nature are many. Unstructured play time out in nature enhances confidence and promotes creativity and imagination. Being out in nature gets kids moving and makes them think, and connecting with nature reduces stress and anxiety. Many campgrounds have lots of ways you can spend quality time outdoors with your kids discovering the natural world. Here are some great ideas from The Child Mind Institute that can help you get your kids more involved in nature. Camping with kids provides lots of opportunities to get everyone moving and engaged. Spending quality time as a family doing fun things together helps families develop stronger bonds and better communication. Meeting new people, making friends, and socializing are also important aspects that can help your children develop valuable social skills. Studies have shown that promoting these types of activities can provide lifelong health and happiness for you and your kids. So, are we there yet? 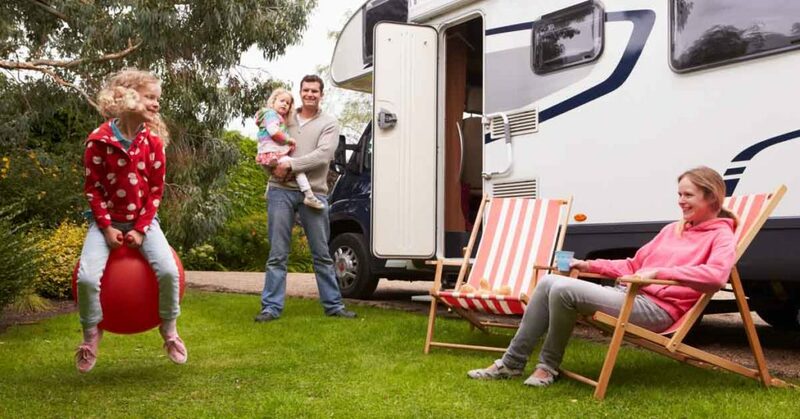 Have you got some tips you would like share for families RV camping with kids?